According to the Art Newspaper, German artist Anselm Kiefer demands organisers in China to call off the unauthorised exhibition at Beijing’s Central Academy of Fine Arts. In a statement issued on 16 November, Kiefer says: "Throughout my career I have been heavily involved in all my major international exhibitions and it is a matter of deep regret and frustration that the organisers of my first show in China have seen fit to exclude me from this process." 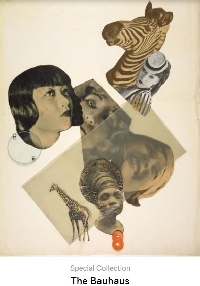 MoMA has released an extensive online archive of exhibition materials from its founding in 1929 to the present. 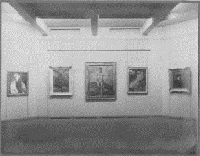 The archive features not only exhibitions, installation photographs, but also primary documents such as catalogues, press releases, artist lists and checklists. 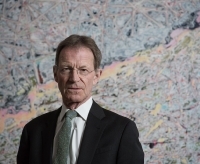 Tate Director Nicholas Serota, after 28 years in the role, has been appointed the new chairman of Arts Council England. 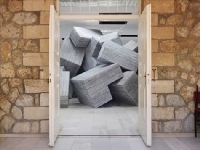 He will take up the part-time role of Chair of the Arts Council on 1 February 2017.
documenta 14's public programme will start on 14 September 2016 at the Athens Municipality Arts Center at Parko Eleftherias (Freedom Park) which is transformed into an experimental public space, introducing Greek and international artists, theorists, curators and historians. Harvard just launched a digital resource that features more than 32,000 documents and images related to Bauhaus, from architectural drawings to sketches, textile details and games. The 10th edition of the Taipei Biennial - "Gestures and Archives of the Present, Genealogies of the Future"
Curated by Corinne Diserens, the exhibition will "investigate how the museum invents various modes of operation to deal with the transmission of artistic heritage in the enlarged context of the history of modernity, the amplification of the reception of ideas and gestures, in relation to constantly evolving acts and forms seeking emancipation." This manifesto was initiated by a group of Russian activists, academics, curators, writers and artists about the current political situation in Russia, and what must be done to change it. Suhanya Raffel will replace Lars Nittve, who left M+ in January 2016 after five years. Her move to Hong Kong will also influence the leadership structure of Sydney’s National Art School (NAS) as her husband, Michael Snelling, is the director of the institution.